Popular author Katherine Valentine pens the highly anticipated fourth novel in her beloved Dorsetville series. 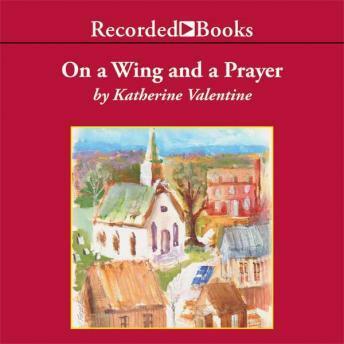 On a Wing and a Prayer is an enchanting portrait of life in a quaint New England town “where miracles are never far away.” The 12-year-old Gallagher twins fall through the ice on Fenns Pond and need a miracle of their own. Father James, the parishioners of St. Cecilia’s, Doc Hammond and all the regulars at the Country Kettle Café struggle to keep their faith as God’s will is eventually revealed.